Manufacturers of drugs and medical devices regularly deploy digital tactics to communicate to their markets. However, promotional review committees, marketers, medical and regulatory personnel, and their attorney advisors must navigate the pitfalls of messaging in this heavily regulated space. 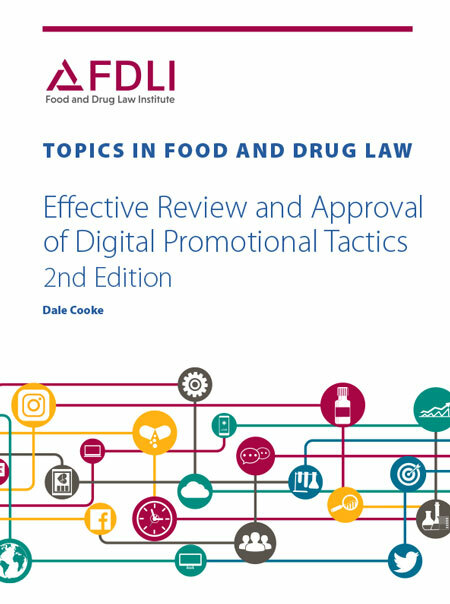 This book addresses the complexities of reviewing digital tactics to ensure their compliance with FDA regulations and offers practical insight for effective promotion and review strategies. What is the discount rate for bulk purchases? Save 10% on a purchase of 5 or more copies, and save 15% on a purchase of 10 or more copies. What is the rate for bookstores? For bookstore bulk pricing, please email [email protected]. Is there a discount rate for professors? Review copies for professors who are adopting a book for a course are available for a reduced fee. Please contact [email protected] for more information.